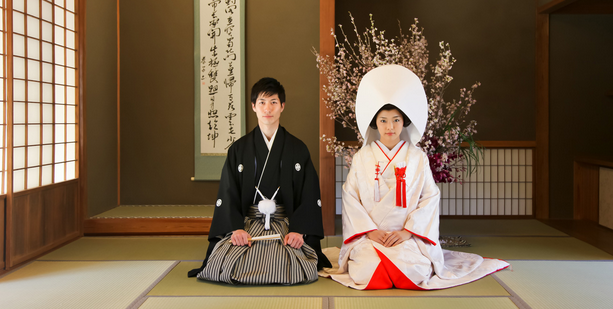 Fifty-one percent of those responding to a Mainichi Shimbun national poll conducted Dec. 5 and 6 said they were in favor of allowing different last names among married couples, which is not currently allowed under the Civil Code. Thirty-six percent were against the move, while 73 percent said they would still choose to have the same last name as their spouse even if it became possible to have different last names. Some 13 percent said they would use a different last name. In a December 2009 poll by the Mainichi Shimbun that asked the same question, 50 percent were in favor of allowing different last names while 42 percent were against the proposal. In the 2009 poll, male respondents were split around 50-50 on the issue, but in the new poll more male respondents were in support of allowing different last names than were against the idea. Among those who supported allowing different last names, 70 percent said they would choose to have the same last name as their partner, about the same as the overall percentage who took the poll. However, 23 percent said they would choose to have a different last name from their spouse, higher than the overall percentage for that response. Debate over changing the Civil Code to allow different last names among married couples began in earnest in the 1990s, and in 1996 the Legislative Council, a panel to the justice minister, suggested that different last names be permitted. However, opposition has remained strong, especially among the Liberal Democratic Party (LDP), whose members argue that this change would lead to the “collapse of families.” There has been no bill for changing the Civil Code to allow different last names submitted to the Diet. The poll also asked respondents for their opinions on part of the Civil Code that forbids only women from remarrying for six months after a divorce in order to help in determining the father of a child born around the time of a divorce. Fifty-five percent of those polled said this part of the code should be done away with because DNA tests can now be used to determine parent-child relationships. Thirty-four percent said the ban should be kept, either as it is or with the time period shortened. On Dec. 16 the Grand Bench of the Supreme Court is set to make its first ruling on whether or not the Civil Code, in forcing married couples to use the same last name and imposing a six-month ban on women remarrying, is in violation of the Constitution or not.